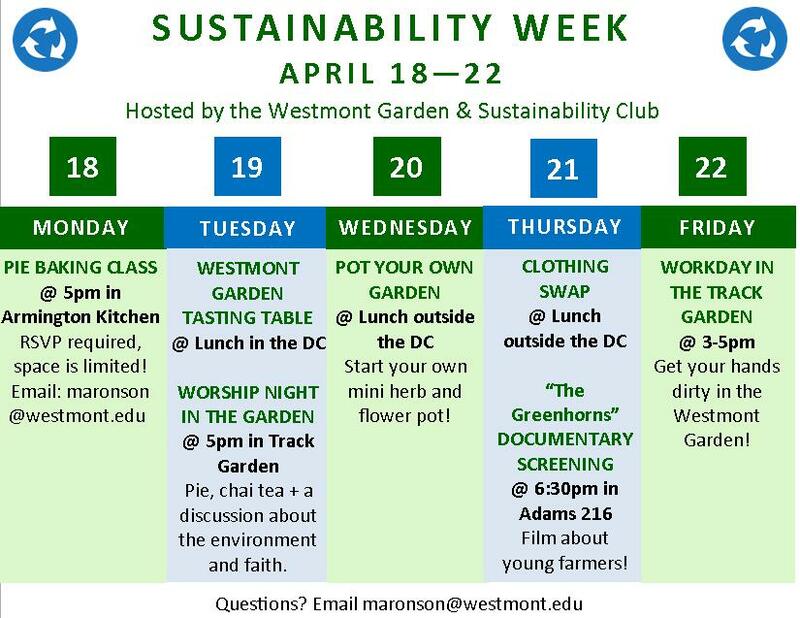 In honor of the upcoming Earth Day celebration, the Westmont Garden & Sustainability Club is excited to host Westmont Sustainability Week throughout April 18th – 22nd! Next week will be full of awesome events to raise awareness about sustainability, food, farming, and recycling – as well exploring the connections between environmental stewardship and Christianity. See below for the full Earth Week schedule + event details! Pie making class @ 5pm in Armington – Learn to make your own delicious pies from scratch! Email maronson@westmont.edu to RSVP – space is limited! 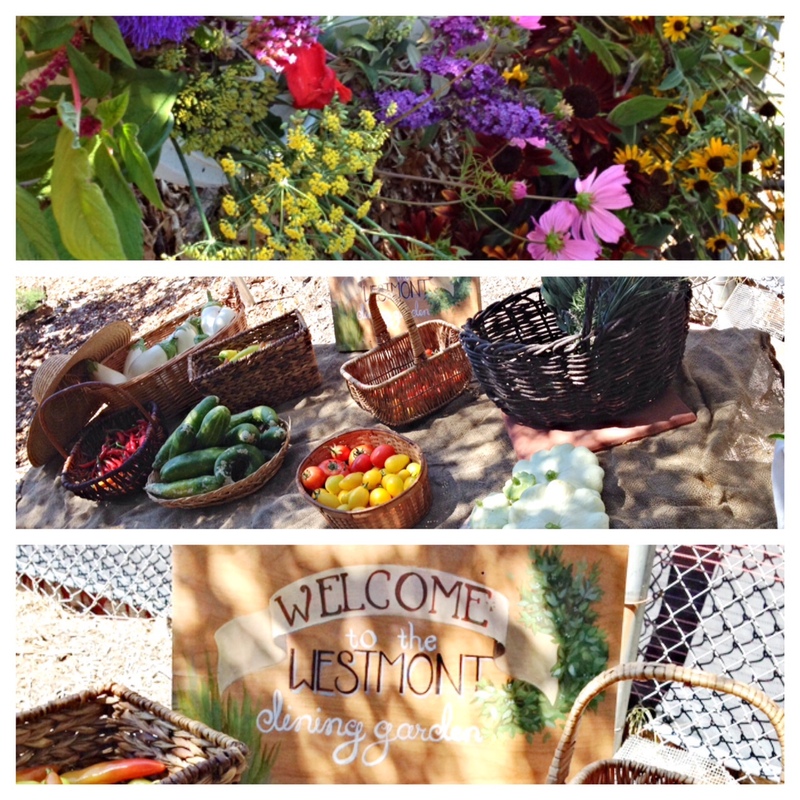 Westmont Garden Tasting Table @ lunch in the DC – Stop by the Garden Club’s table in the front of the DC for a tasting of freshly harvested snacks like sugar snap peas, carrots, and edible flowers! Worship Night in the Garden @ 5pm in the Track Garden – Join us in the Track Garden for a fun night of music, homemade pie, chai tea, and discussions about the intersection between faith and environmental stewardship. Guest speaker is Professor Amanda Sparkman! Pot Your Own Garden @ lunch outside the DC – One of the most popular events during Sustainability Week! Learn to pot your own mini garden with herbs and flowers with the help of Westmont Garden & Sustainability Club members. Free Clothing Swap @ lunch outside the DC – All this week and next, donate your unwanted clothes and perhaps find something “new” during Thursday’s clothing swap! Put your clothes donations in the blue bin located at the front carpeted area of the DC (underneath the photographs), labeled “Clothes Donations for Sustainability Week”. “The Greenhorns” Film Screening: 6:30pm in Adams 216 – A special viewing of “The Greenhorns” – a documentary film that explores the lives of America’s young farmer community. The film lasts 50 minutes and will be followed by an engaging, informal discussion. Here is a link to the documentary trailer. Workday in the Track Garden @ 3-5pm – Join the Garden Club for our weekly work session in the garden! A great opportunity to check out what’s growing in the gardens if you’ve yet to visit. A Rainy Day Reflection on the Drought. The first rain of the season has come about a month earlier this year. It is a very welcomed visitor indeed. 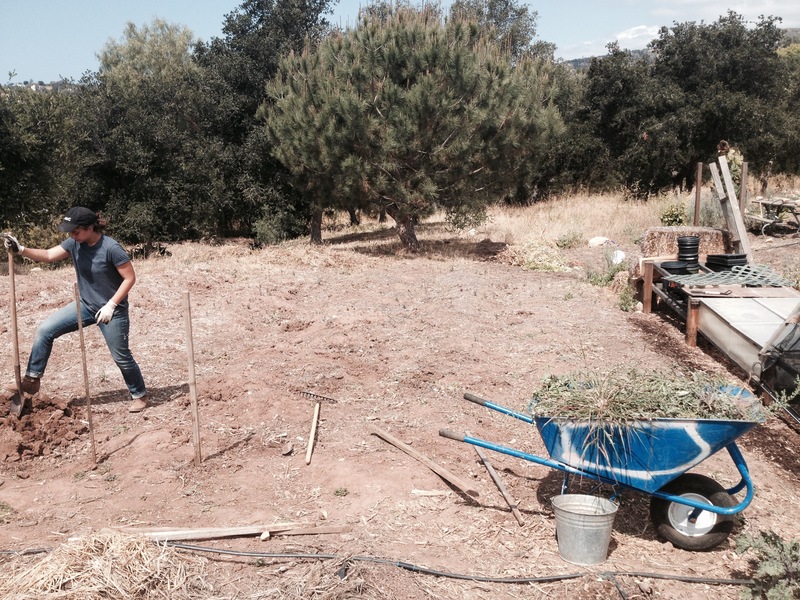 Many people have been curious about how the drought has been affecting the garden. I wonder if because we as a culture are so disconnected from our natural environment, we don’t really know how, or even if, things are being affected. We hear about this extreme drought and see the brown, but are not really sure what that it means in the ecosystem. The lack of water, the higher temperatures and the dryer air have been affecting everything, and the garden is just part of that. In the garden specifically, the drought has bought imbalance. Nature is always trying to find a sweet spot where organisms keep each other in check. With the lack of water, and thus plant growth in the surrounding areas, there has been a higher concentration of earwigs and other pests that have found a haven in the garden. This has made direct seeding plants very difficult. The gophers have also become more desperate in their search for water. The soil of the garden has also gone into a state of dormancy. Moisture is required for bacteria and fungi to break down organic matter, as well as the transportation of nutrients and the overall health of the soil. With the soil as dry as it is, there is very little life outside of the irrigated areas. It is my hope and prayer that this rain marks the end of our dry dormant season and that it will come fuller and more often. A big Thank You to everyone who came down to the Garden to say hello and take home some organic produce! It was lovely to chat with y’all and enjoy the sun and butterflies. On June 21st a group of persons interested in sustainability at Westmont gathered together to discuss steps towards a wider discussion/implementation of these topics on campus. This meeting, which was called by the VP of Administration and Planning Chris Call, was attended by representatives from all areas of campus: faculty – Paul Willis, Wayne Iba, Campus Planning – Randy Jones, Physical Plant – Tom Beveridge, John Housh, Auxiliary Services – Bill Groeneveld, Library – Robin Lang, Dining Services – Anthony Waldrop, Provost – Mark Sargent, Student Life – Stu Cleek, and a student representative by e-mail – Shea Werner. The meeting discussed some of the little things on campus that could be done to increase sustainability, what sustainability could be defined as, and and what next steps are to be taken. The consensus was that an inter-departmental task force with a direct communication line to the E-team, would be the best method for setting a framework, measuring progress, and focusing on both large and small things that Westmont as an institution can do to further sustainability. We at dining services are excited to see the fruits of this meeting! Welcome to the Westmont Vegetable Garden! The garden is bordered on two sides by the Westmont tennis courts and can be reached by walking down the gravel service road south of Reynolds Hall. The garden is on the right and is marked by a painted sign.